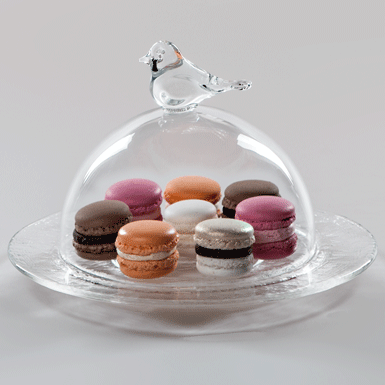 Whatever you keep under the cloche... the glass bird is watching over it! Cloche blown. Bird manufactured with glass-rods. Plate poured by hand into mold.